“Large, strong tornado touches down as I hook-slice through baseball hail and then retrogrades west toward my position. Rental Chevy equinox I was in had a flat tire and I had to drive on the rim for 15 miles to get to this position, then escape north in 90 mph inflow with horizontal baseball hail coming in from the left. 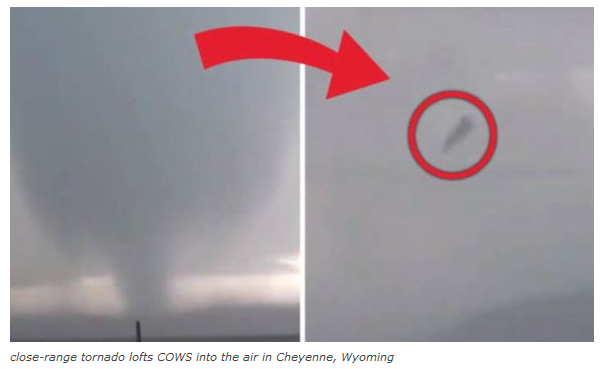 Tornado was about 20 miles northwest of Cheyenne, WY on Sunday, May 27, 2018. I was driving on the rim with a flat tire at the time, but my economy rental car cut through the mud roads like a champion. Terrifying what natural disasters do!